Nigeria is the first team to win the three available medals in the Olympic Games football event. Nigeria will be starting the quest for qualification for the football event of the Tokyo 2020 Olympic Games with a tricky tie against Libya in March 2019. Libya got a walkover in their scheduled tie against Gambia to set up a date with Nigeria who were seeded to begin campaign from the second round. 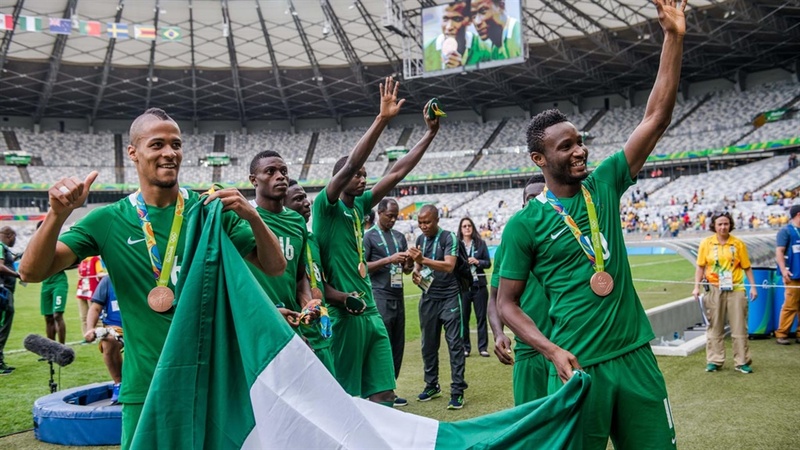 The Nigerian team set a record in Rio when the Mikel Obi-inspired team won the bronze medal, thus making Nigeria the first team to win the three available medals at the Olympics. They will host Chad in Yaoundé on Friday with the second leg of the first round holding in N’Djamena next Tuesday. Chad are among the weakest football nations in the continent, never making an international impact at national team or club levels. First legs are scheduled for Wednesday, Friday and Saturday with the return matches on Sunday and Tuesday.